VoIP typically takes an analog call, digitizes it and then sends the call out over the Internet. The digital packets are reconverted to analog to complete calls to traditional phone customers. There are three common ways a VoIP call is initiated. ATA: Short for analog telephone adaptor, an ATA is one of the most common ways to connect to a VoIP network. Here, a traditional telephone is connected to a device. What the ATA does is take the analog voice signal created by your telephone and convert it into digital packets that are sent over the Internet, much like an email or software download. IP (or VoIP) Phones: You can think of an IP phone as a phone with the technology to digitize your voice built right into the device itself. No conversion is needed because the process is done right away, and these either connect to the VoIP service directly through your router or through a Wi-Fi connection. The IP phone doesn’t need to be a traditional phone; there are software-based systems that place calls, like ones you’ll find in computer and portable device applications. Computer to Computer: The final type of VoIP call requires no traditional phone service to place the call. Skype is a good example. The call is placed through software, and the data packets are transmitted to the person you’re calling directly through the VoIP service’s servers. To understand how VoIP works, we first need to understand how traditional phone calls work. With a traditional phone call, when you pick up the receiver, you’ll hear that familiar dial tone. In technical terms, that dialtone is an auditory confirmation that you have opened up an electric circuit to the telephone exchange, which is the central location where calls are routed. When you dial the number, the exchange opens up an electric circuit to the receiving phone, which makes it ring. When the person you’re calling picks up the phone, the circuit is opened and voice is transmitted across this open circuit. VoIP calls work differently. The Internet serves as your exchange, and picking up your receiver will only start the process of sending data packets to the VoIP server. You still hear a dial tone, but this is now a confirmation that you have a connection to the VoIP server. This VoIP server then tries to locate the person you’re trying to call. If it is another VoIP number, the VoIP server may direct the call completely over the Internet. If it finds it’s a traditional number, it will take the necessary steps to create that electric circuit like two traditional phones to successfully route the call. There’s a good chance that you won’t know the difference when using VoIP if the person you’re calling is either a traditional phone or VoIP phone customer. 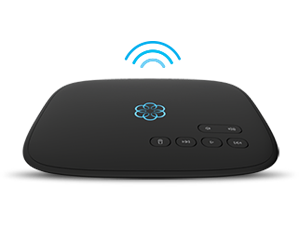 However, if you’re using Ooma, you should notice a distinct difference in audio quality when calling another Ooma customer. That’s because of Ooma’s PureVoice HD technology. 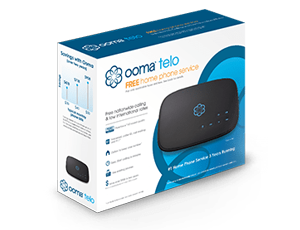 If you both are using Ooma’s signature HD handsets, you’ll enjoy Ooma’s highest possible voice quality. Well explained. I think this is the best explanation I have found on the web. I didn’t know that VoIP had the internet act as the exchange instead of an electrical circuit. I think this would be a bit faster than having to go through the telephone exchange central location. Maybe we need to look at a local VoIP service to see if it would be worth it to make the switch.